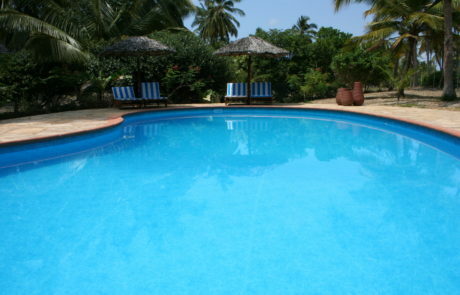 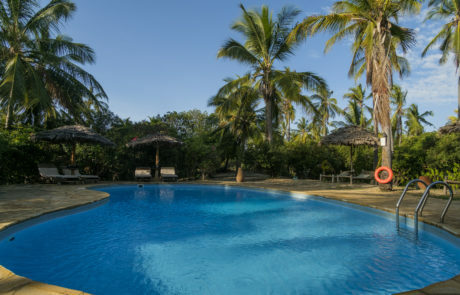 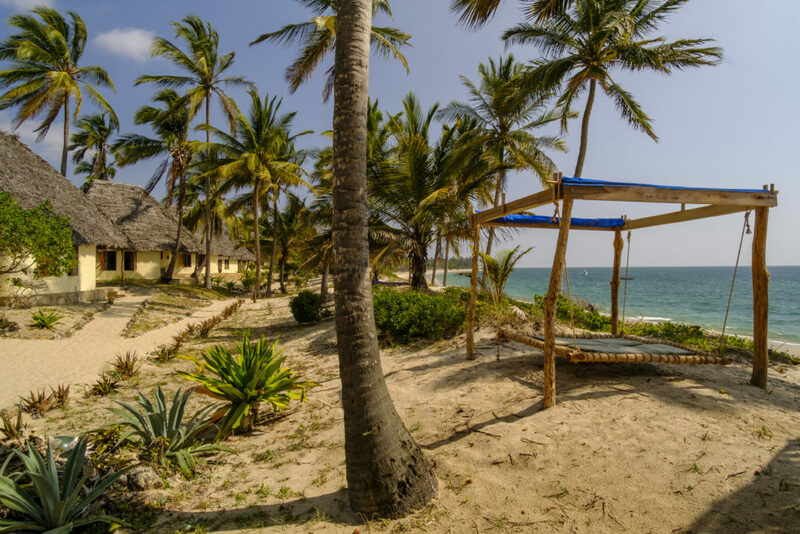 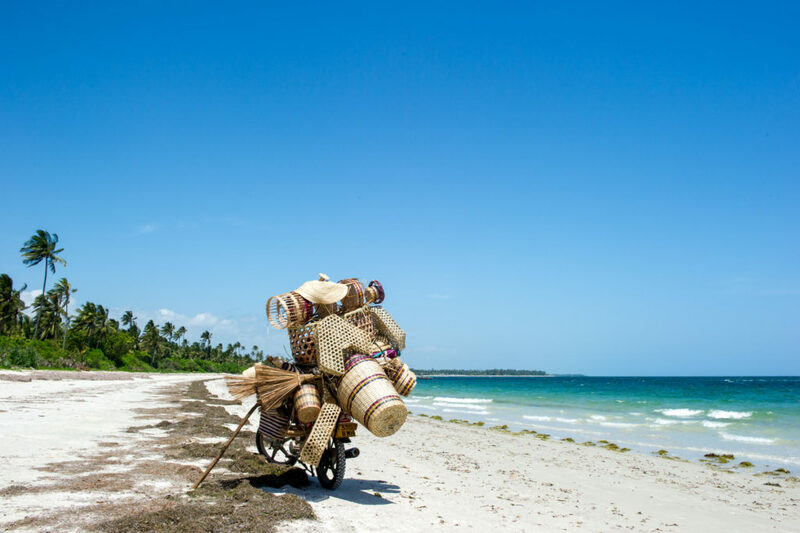 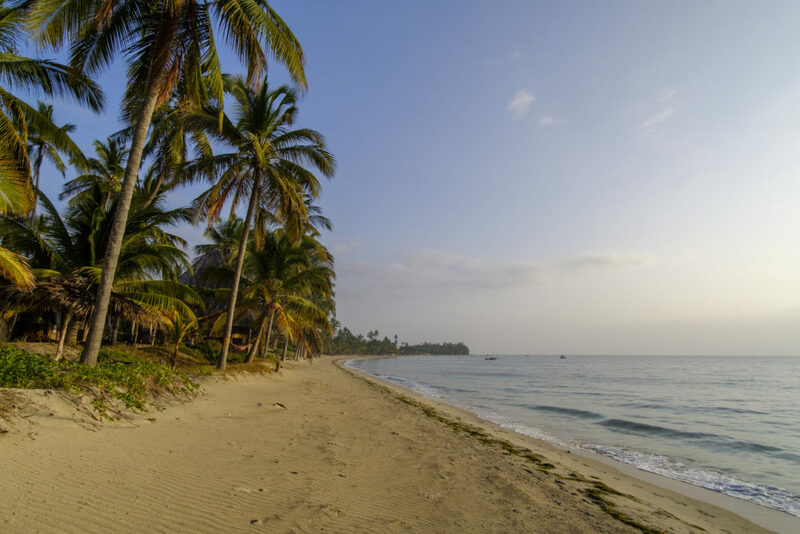 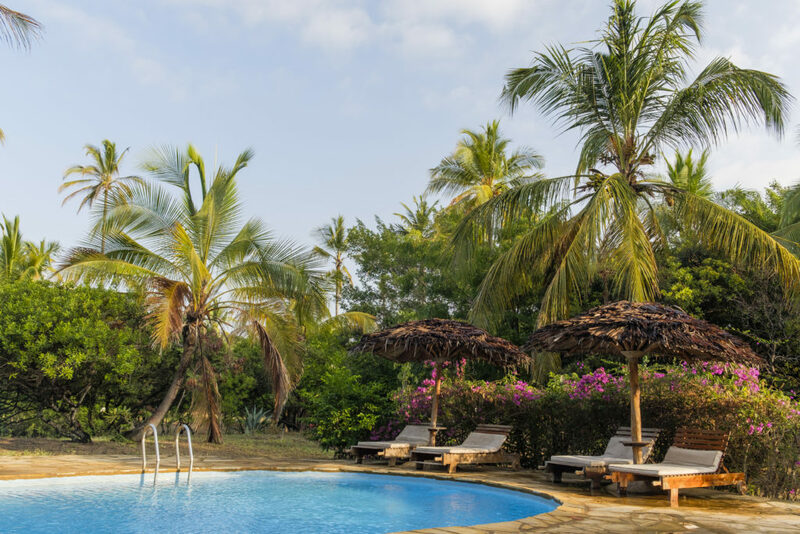 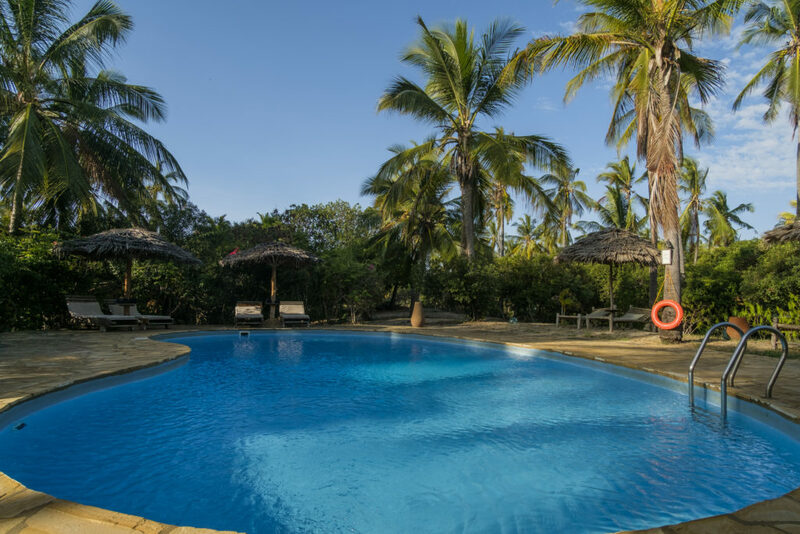 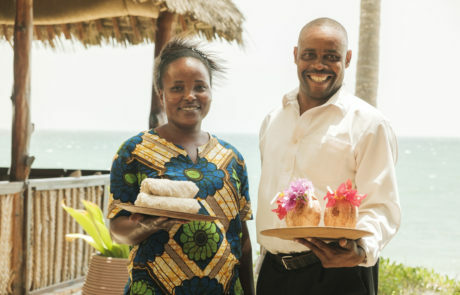 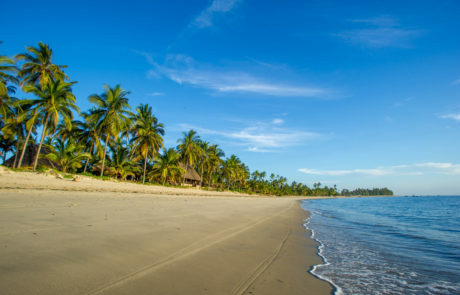 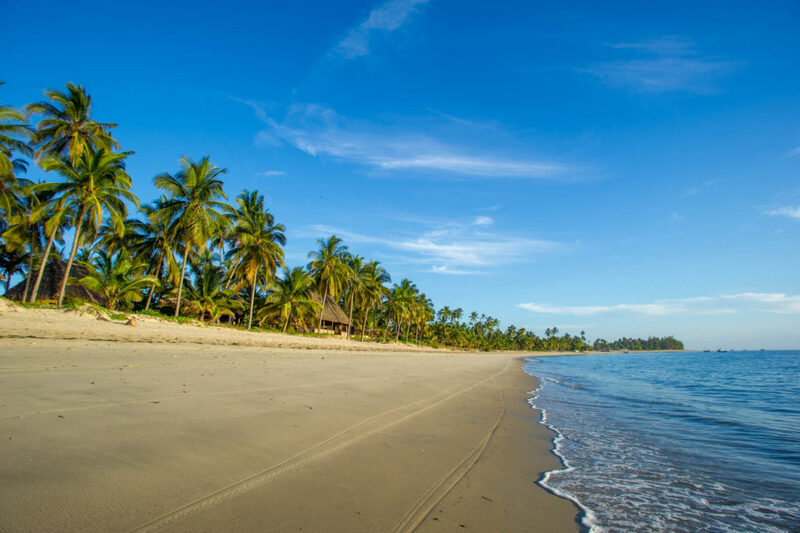 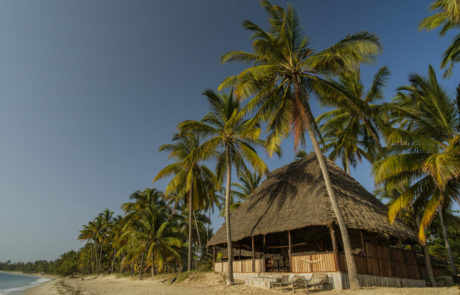 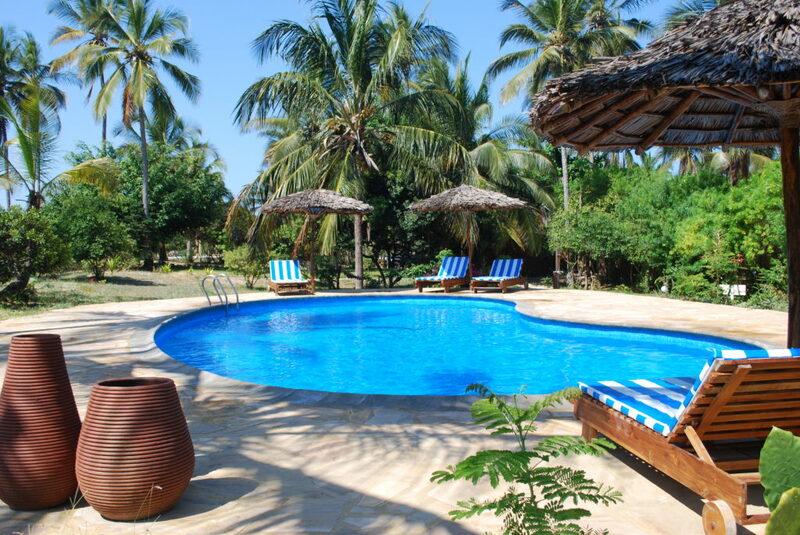 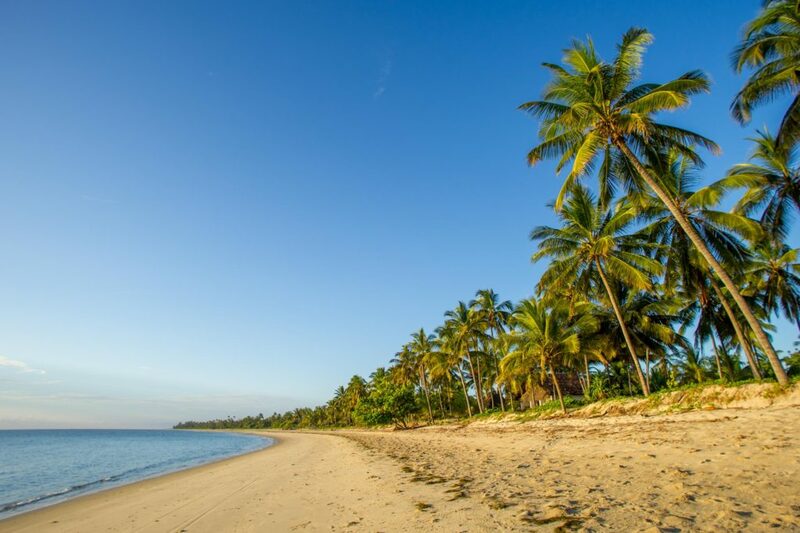 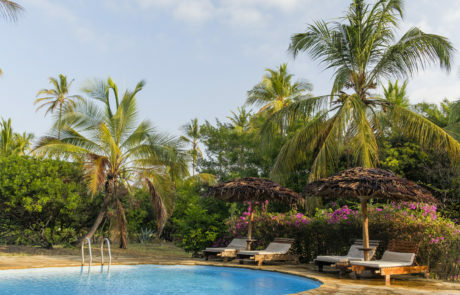 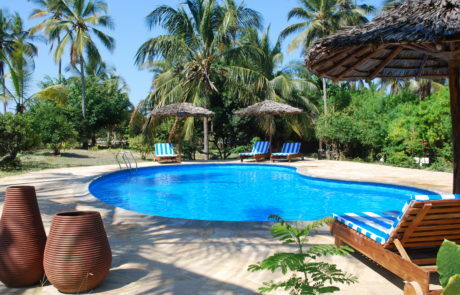 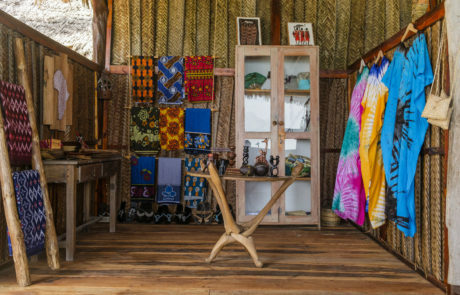 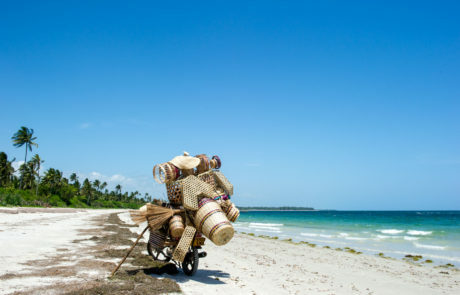 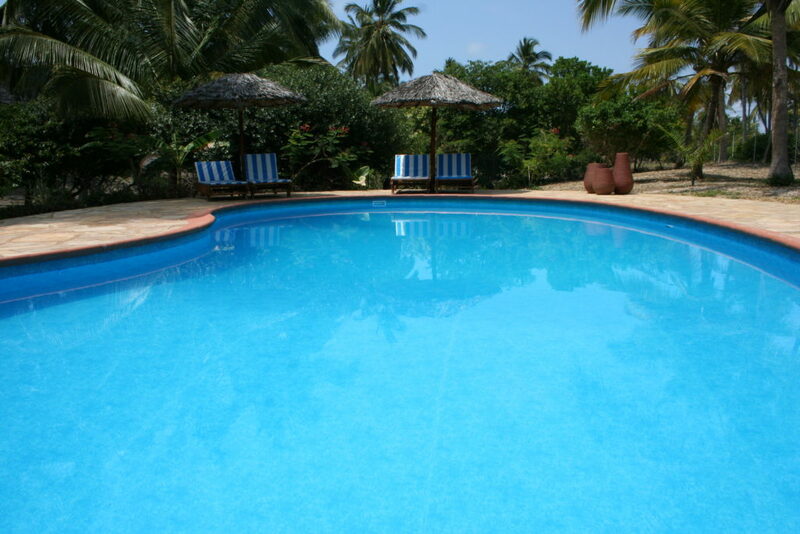 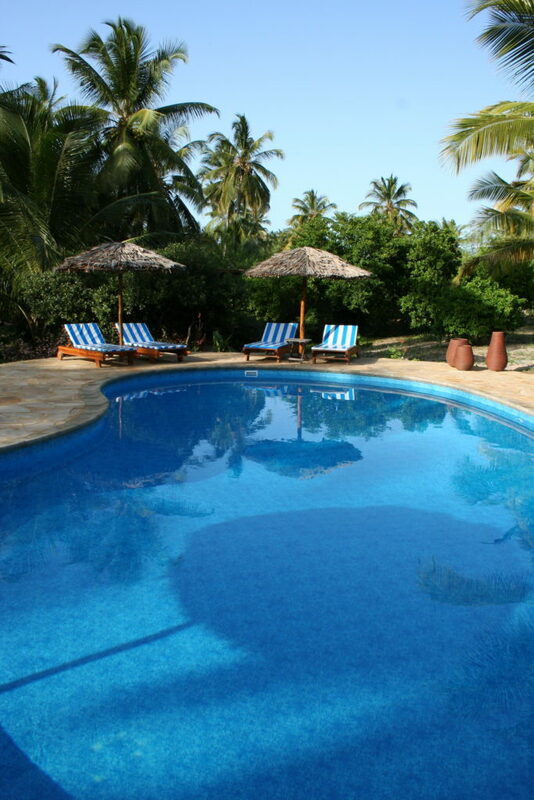 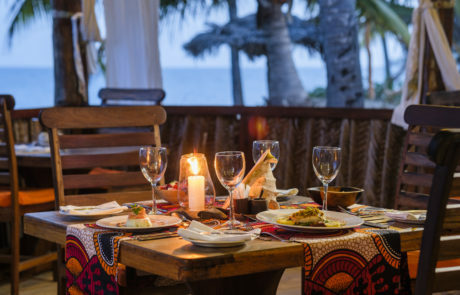 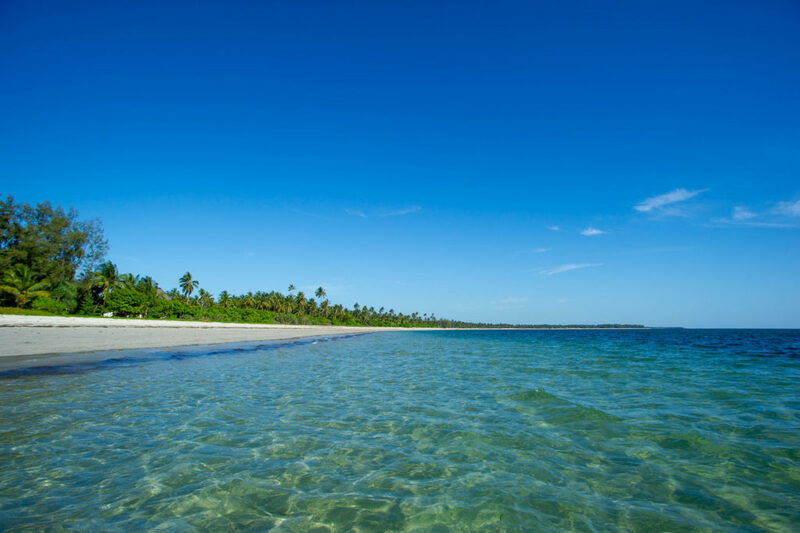 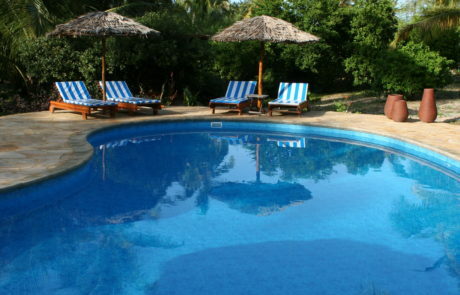 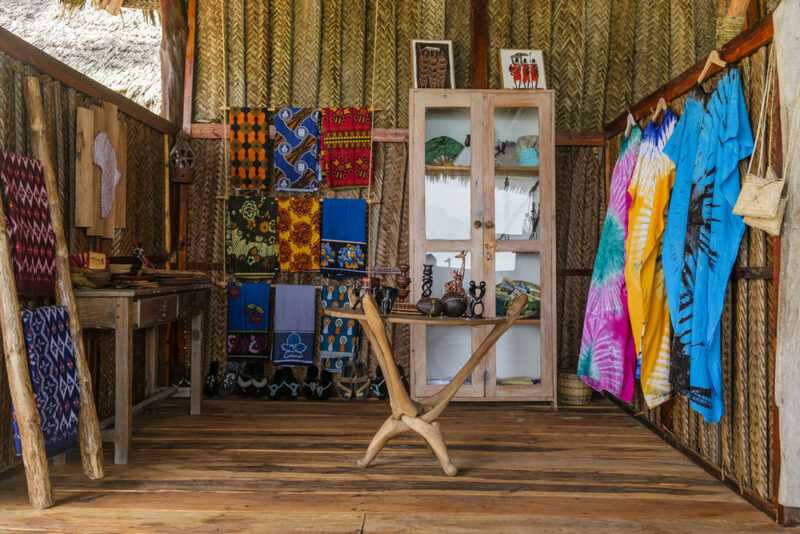 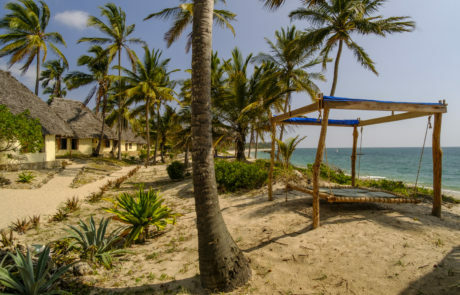 The Tides Lodge is set on the idyllic, palm fringed and secluded Ushongo beach on the northern coastline of Tanzania near Pangani. 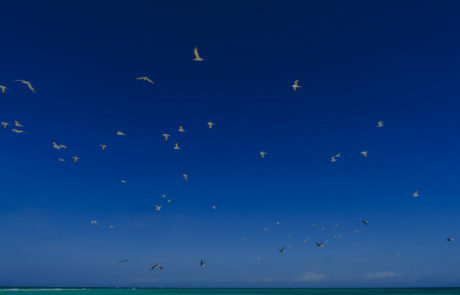 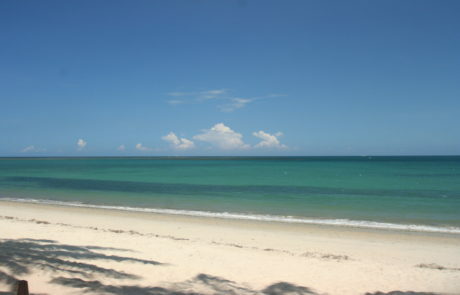 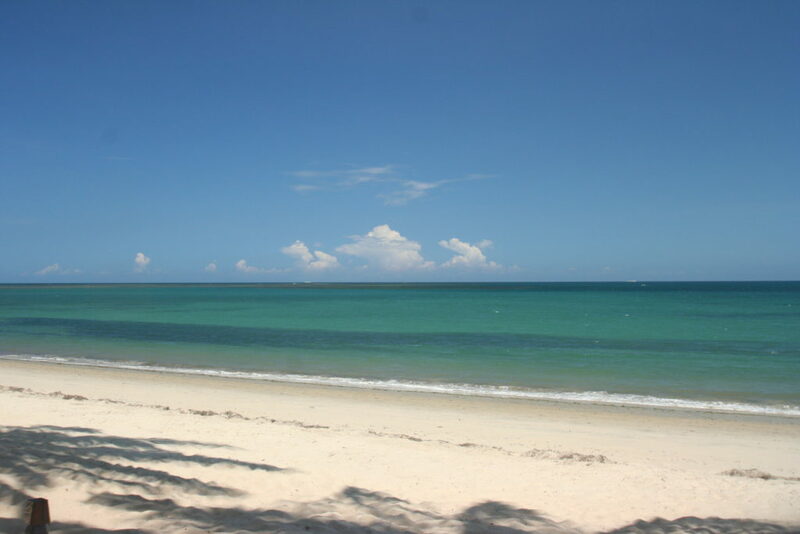 The beach is deserted with no crowds and no troublesome beach hustlers, giving the guests the feeling of tranquillity and exclusivity. Our philosophy is to be in tune with our environment, which is pure and beautiful. 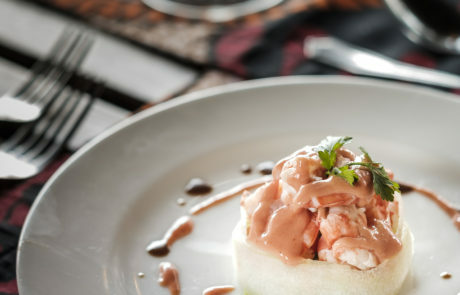 This extends to our cuisine which is unpretentious yet refined served in a relaxed atmosphere. 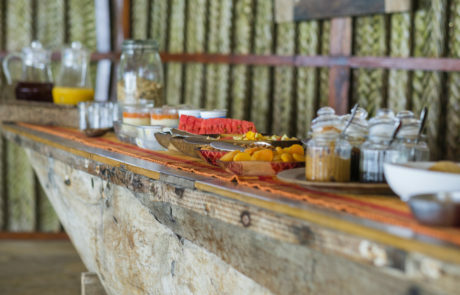 Start the day with fresh tropical fruits from our generous buffet, enjoy freshly prepared light and healthy dishes from our all day lunch menu, and finish the day with a three course dinner in our open air restaurant overlooking the Indian Ocean. 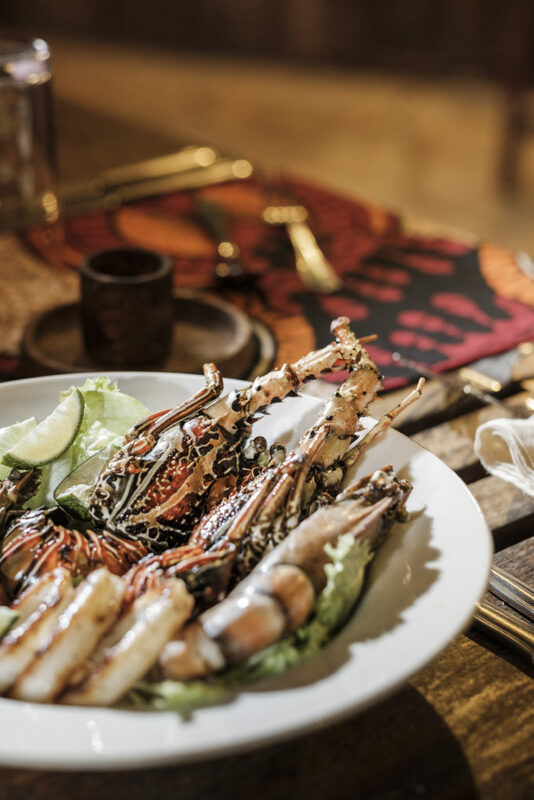 Our menus utilise the freshest ingredients, which we source locally as far as possible. 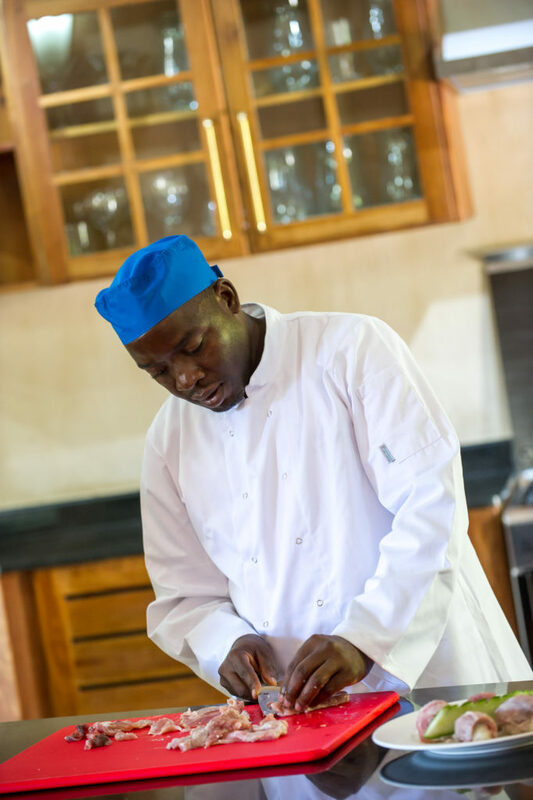 We grow fresh herbs and salads in our own garden, and bake the most delicious bread daily in our wood fired oven. 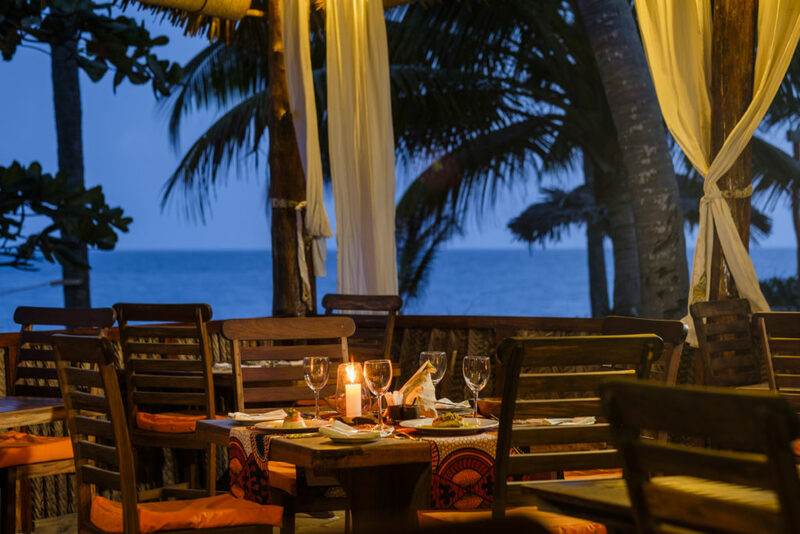 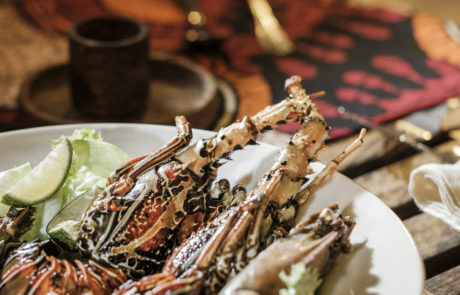 Being on the ocean front, fish features prominently on our menu, and is brought to us by the local fishermen – thus supporting the local community. 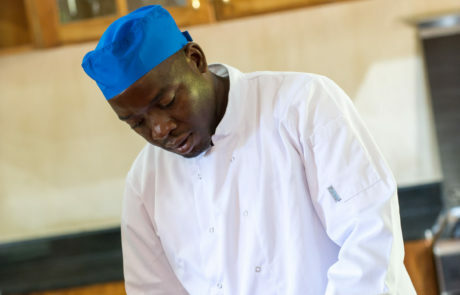 Our Chefs and the kitchen team all come from the local villages, and have been trained to the very highest level in gastronomy and hospitality by some of the finest Swiss chalet staff. 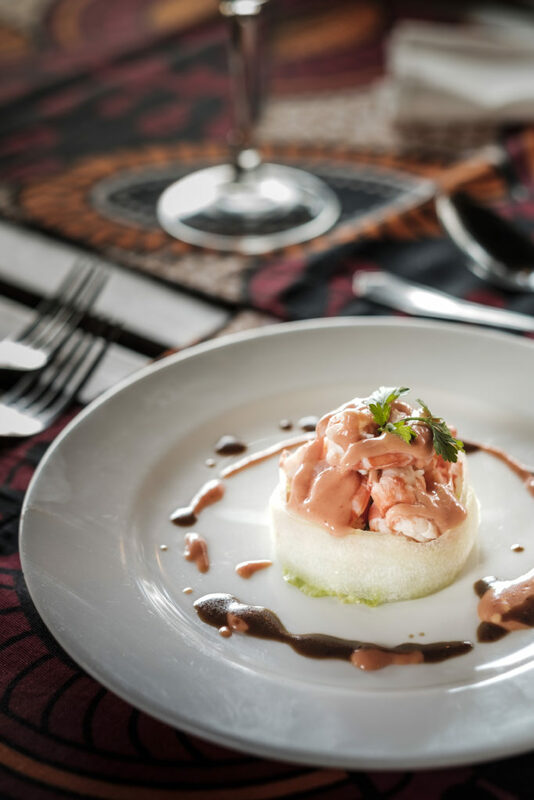 They pride themselves on delivering a service that is attentive and unobtrusive, from a lazy lunch to a celebratory dinner. 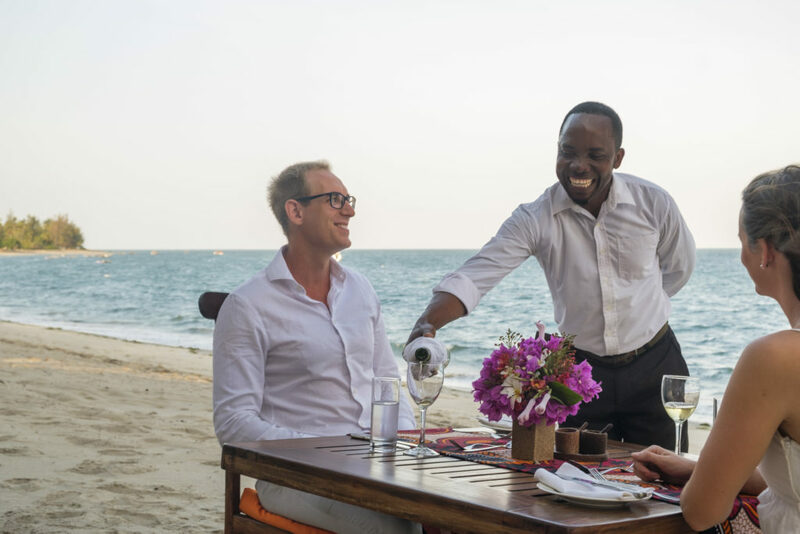 Special dietary requirements are dealt with routinely and to ensure your gastronomic satisfaction your chef will discuss your dietary plans on a daily basis. 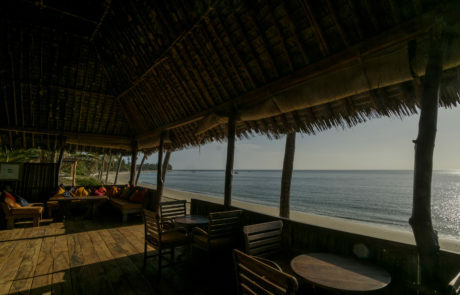 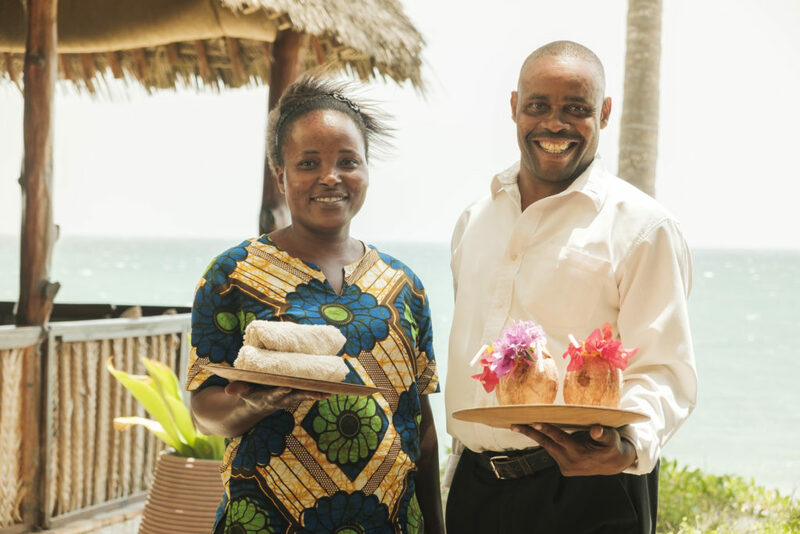 At the heart of the Lodge and overlooking the Indian Ocean is the welcoming beach-front bar, hand-crafted from local materials. 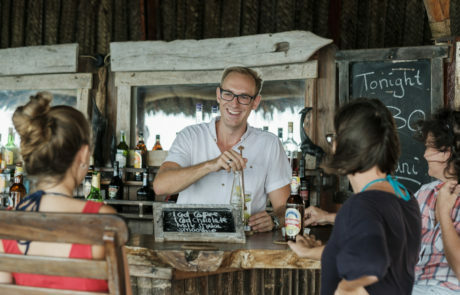 Enjoy a fresh juice or to try an exotic cocktail as the sun sets for a magical and mystical evening under the stars, whilst a gentle breeze from the ocean keeps the temperature just around ‘perfect’. 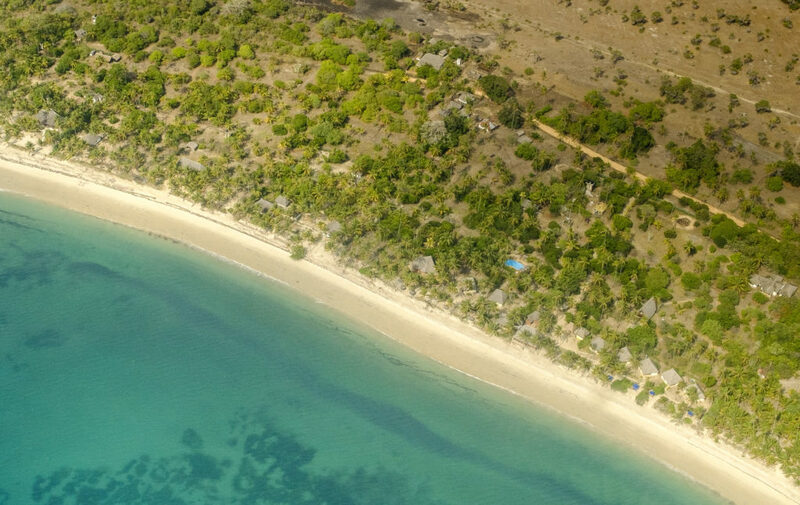 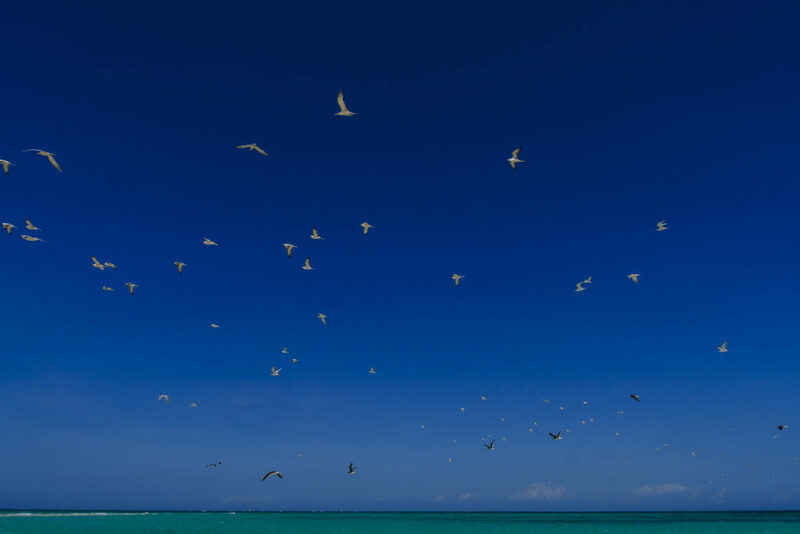 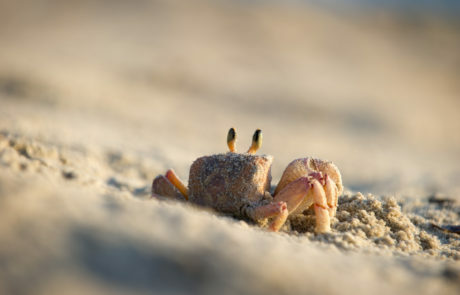 We feel privileged to be located in one of the few still unspoilt spots on our planet and we are committed to responsible development and preserving the beauty of our environment. 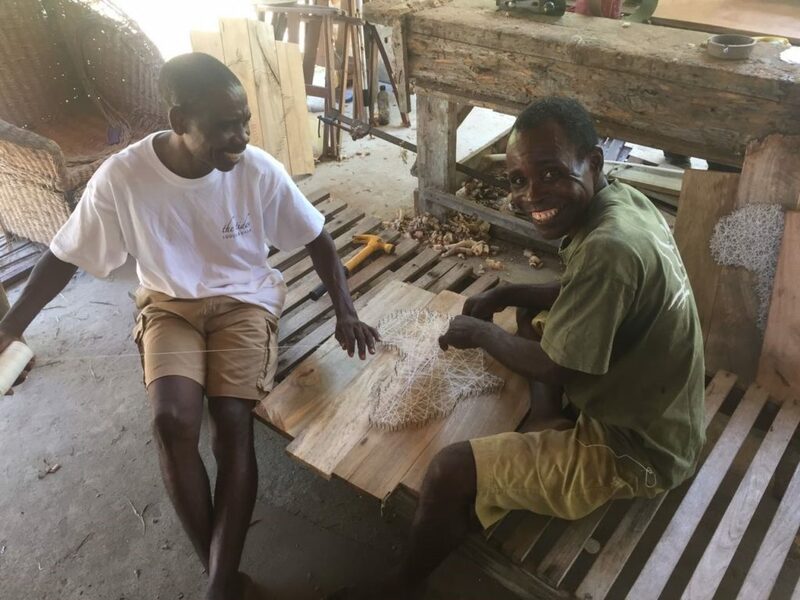 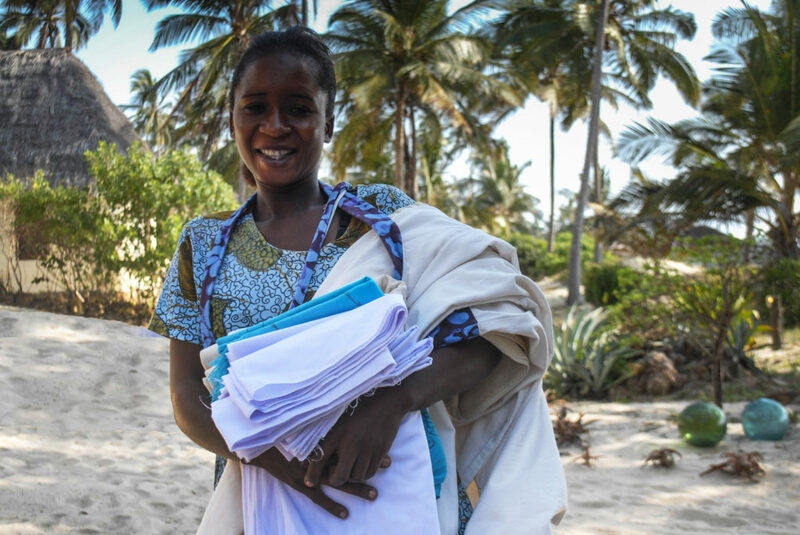 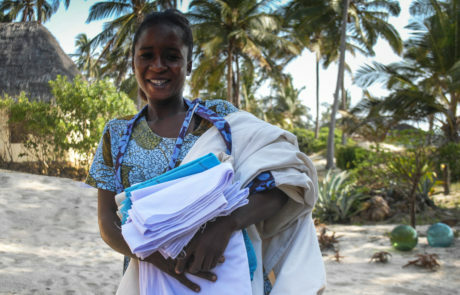 To that effect we support our Ushongo community by hiring locally and investing in training and development of our staff, as well as by supporting Room to Read, a charity focused on child literacy. 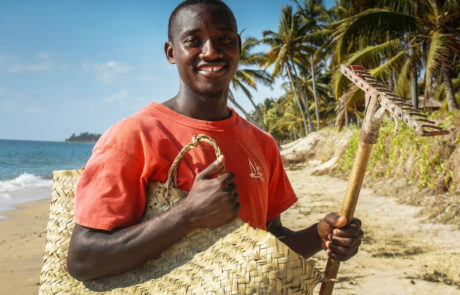 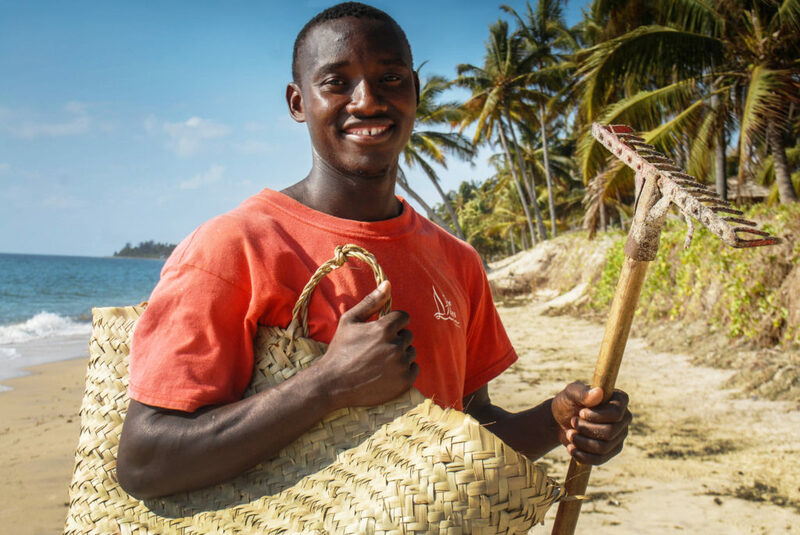 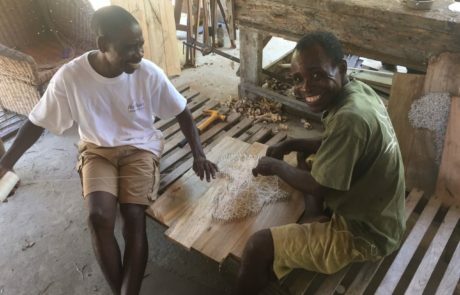 We are also proud to sponsor the Maziwe Marine conservation project which works on protecting turtles in co-operation with the local communities. 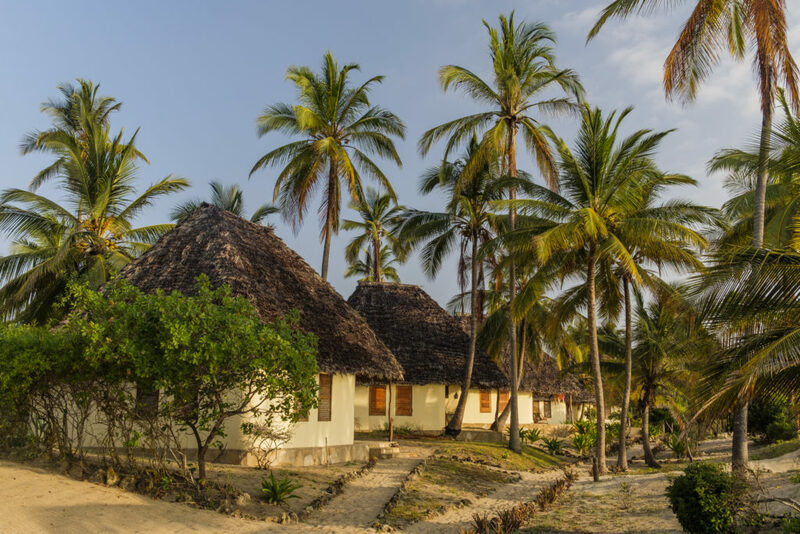 Our lodge is constantly looking for opportunities to reduce our environmental footprint – from using solar power for water heating to abolishing plastic water bottles.